06.30: Start your day with Tai Chi on the top deck and enjoy the bay’s morning landscape. 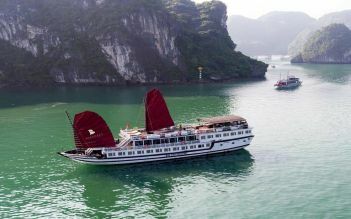 08.30: Transfer to the Day Boat and start cruising to contemplate the stunning beauty of Bai Tu Long Bay. Attention: Because of the weather condition and tide level, the itinerary can be changed flexibly. The itinerary will follow 1 of 2 options as below. 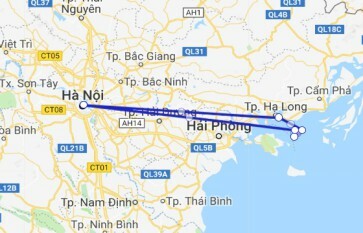 Our tour guide will inform you the exact itinerary when you are on tour. 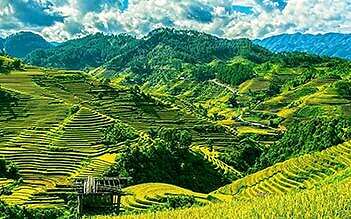 09.30: Start cruising to Cong Dam while discovering geological values of Bai Tu Long Bay. 09:45 - 11: 30: Reach to Hon Co Island for swimming or relaxing. 12.00 – 13.30 Have a BBQ lunch on Beach (Depending on the availability and weather condition). 14:00 Enjoy kayaking through the hidden lagoons and geological park in Cong Dam. 16.30: Return to the main boat and join in Sunset Time (Enjoy tea and fresh fruits). 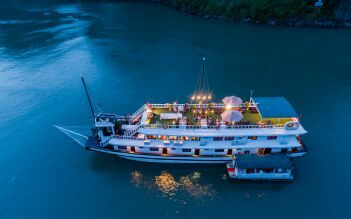 This time is regarded as “ Happy Hour” – “buy one get one” while our cruise is sailing to the overnight anchorage. In addition, cooking class is also organized by our guide at this time. 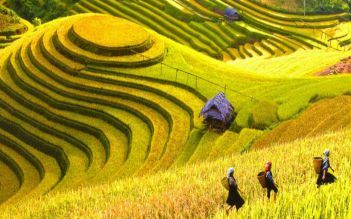 You have a chance to make Vietnamese cuisine by yourself. 19.00: Dinner will be served in the dinning room. 09.30: A day of fun and relaxation with more kayaking to discover Bai Tu Long Bay. You also have a great chance to go fishing with the local fisherman. 11.45: Back to the boat for a delicious hot lunch at noontime while the cruise is moving to Vung Vieng floating fishing village. 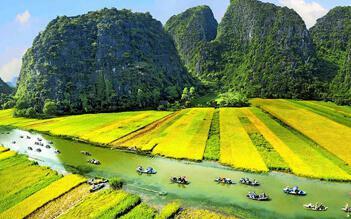 14.00: You are on a rowing boat to explore Vung Vieng village and learn how pearls are grown. 16.30: Return to the main boat and enjoy sunset Time with tea and fresh fruit. This time is regarded as “ Happy Hour” – “buy one get one” while our cruise is sailing to the overnight anchorage. In addition, cooking class is also organized by our guide at this time. You have a chance to make Vietnamese cuisine by yourself. Overnight on Swan Cruise in Cong Do area. I've never wanted to go on a cruise, but I'd happily do this one again. From start to finish, the staff were fantastic, the experience worth every cent and more. Picked up from our hotel for the 3.5 hour drive, the tour guide Peter was fun and happy. We stopped for a break halfway to Halong at a shop that sells beautiful stone carvings way above my price range but unusually for SE Asia there was NO pressure to buy. Just a stroll thru a shop selling beautiful carved stone. Arriving at Halong our boat was just the right size, 16 people and big enough so it never seems crowded. I can't praise the boat crew and tour guides enough, they were happy, attentive and helpful. They took us to see parts of Halong bay where there were less tourists, so where we kayaked and went swimming there were only a few other boats. 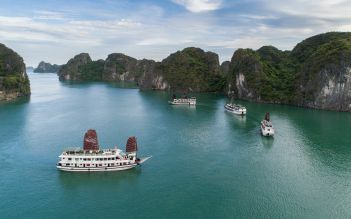 I can't imagine a better way to see Halong or a better company to see it with. We always felt safe and cared for. 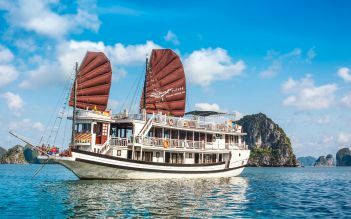 Highly recommend these guys for your Halong experience.